My mother-in-law was in town last weekend, so I seized the opportunity, packed a bike and a camera and took off to explore more of the area I now call home. A few years back, British Sea Power released an album called Man of Aran. It was their soundtrack to a ‘fictional documentary’ film that had been made in the 1930s that showed the incredibly harsh living conditions for people on the islands. The CD version I have also contained the DVD of the film with their soundtrack and having watched it, I read more about the controversial film. Apparently, despite being marketed as a documentary, it actually showed how life had been some 50 years previous. There was also criticism of the film maker for his exploitation of the islanders in sending them out repeatedly in treacherous sea conditions to recreate the hunting of basking shark. 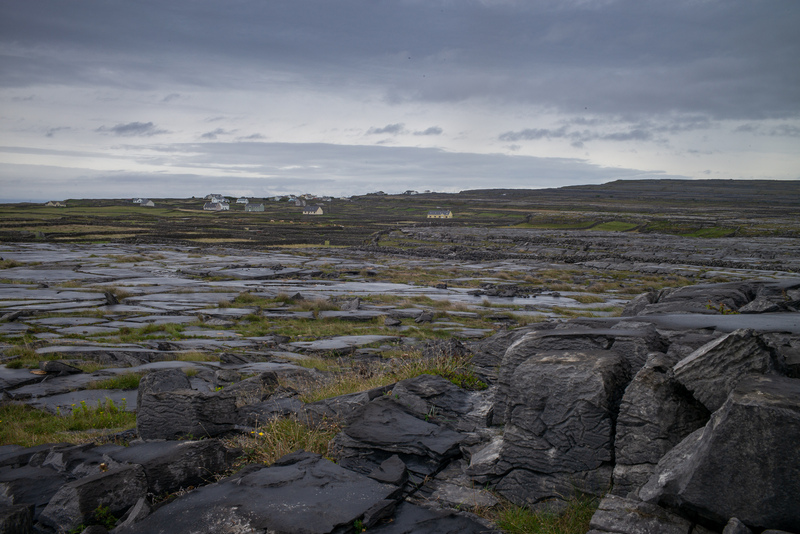 It wasn’t until I began researching County Clare and the surrounding area prior to our move here, that I realised that those same Aran Islands were just off the coast, and a trip to see them was added to the growing list of things to do once we arrived. Four months later and I got the opportunity. 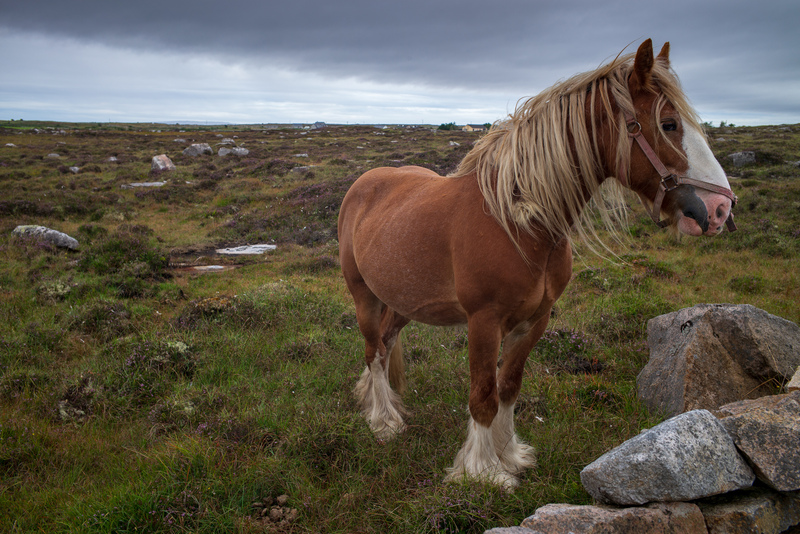 I booked an AirBnB in the ferry port of Rossaveel, planning a day out on Inishmore, the largest of the Aran Islands, on Saturday, and a ride around Connemara on the mainland the following day. It would also be another opportunity for a run out with my new camera to further develop my nascent travel/landscape photography skills. 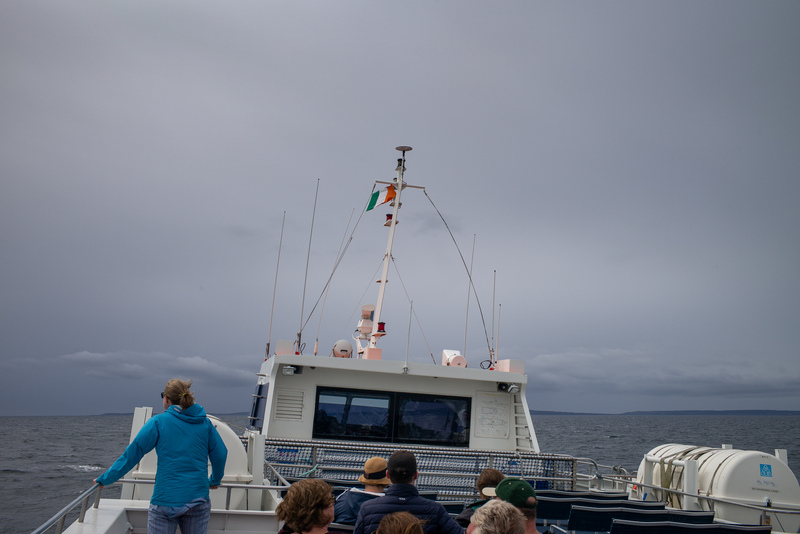 The 40 minute ferry journey from the mainland to the island port of Kilronan was great fun with the boat being thrown about as we bounced across the top of the waves. 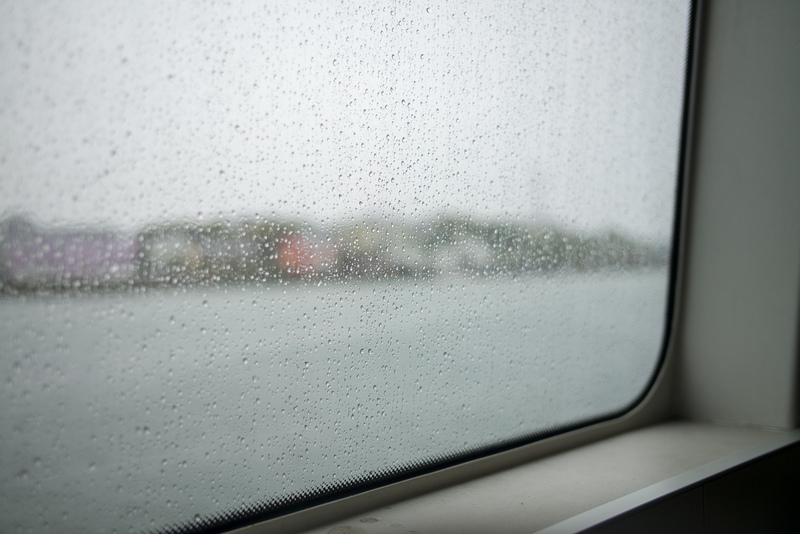 As we approached, the islands were shrouded in rain and looked as uninviting as the film had suggested they might be. 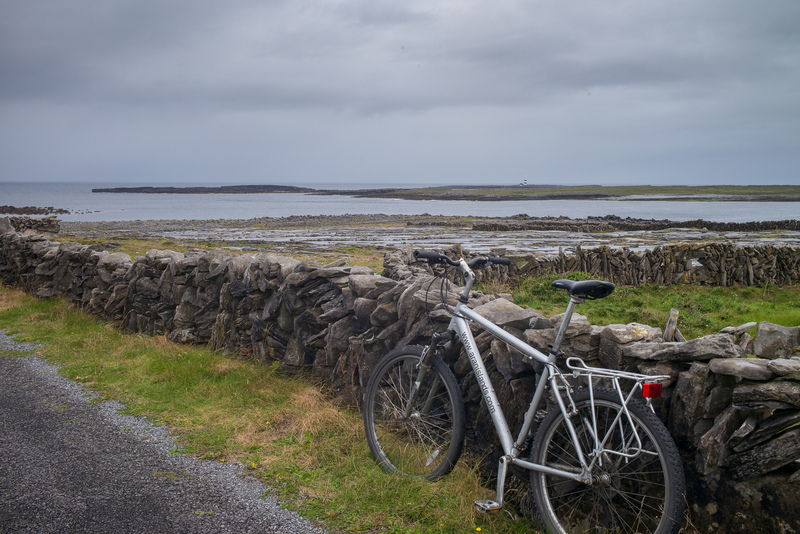 Despite the rain, Aran Bike Hire were doing good business and for €10 provided me with a very high mileage clunker that would carry me around the Island – you can see my route here. I’d picked up a map of the places to see, planned an approximate route between them and set off, needing to be back at the ferry five hours later. 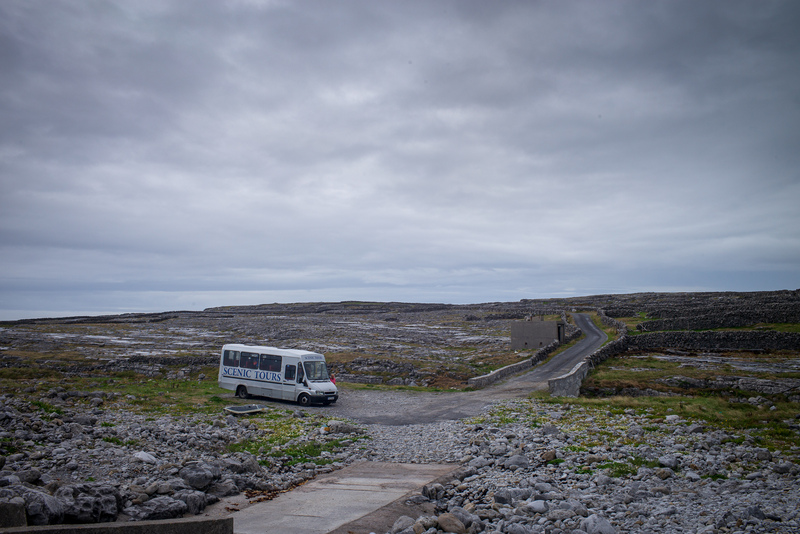 Inishmore is a truly remarkable place. It is virtually barren, with the sloping rock surface that rises to cliffs along the southern shore. 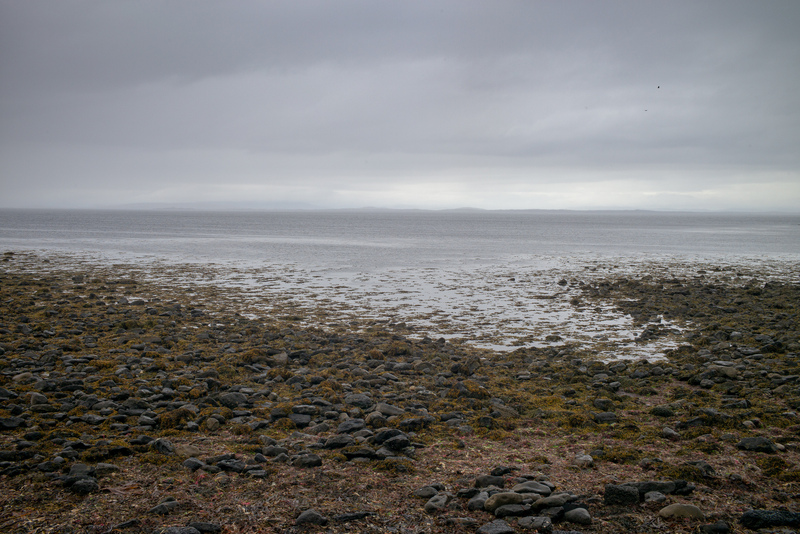 One of the striking sequences in the film is of the woman of the family dragging huge baskets of seaweed up from the shore and onto the rocky plateau. There she’d stuff the seaweed into cracks in the rocks before planting potatoes in it. There is so little soil on the island, this was the only solution. The Seven Churches (in the rain). 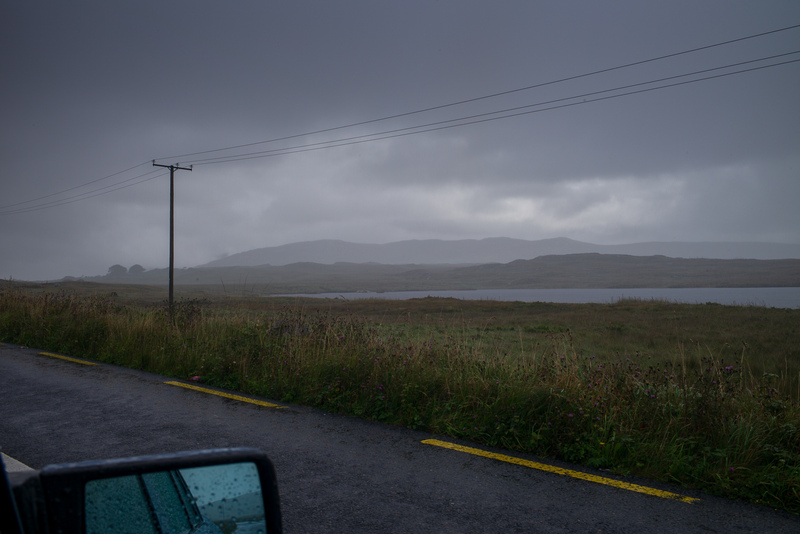 The view of the mainland (through the rain) – it felt a million miles away. 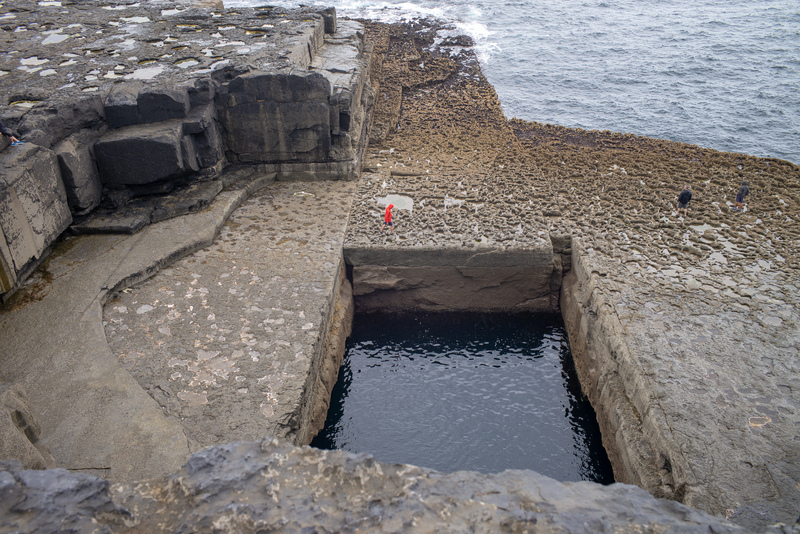 Poll na bPéist is a huge, perfectly rectangular hole in a rocky ledge on the southern shore. It takes a bit of getting to and means abandoning the bike and walking across the rocky fields, but it’s worth it. Despite how remote it is, it was used a few years ago by Red Bull for a cliff diving competition. Not satisfied with the vertiginous drop to the pool from the cliff above, they built an additional platform above to make the dives even more extreme. After 32km of riding most of the length of the island, I was pretty much soaked through and decided to abandon to the pub. I sheltered there for the last 30 minutes or so before it was time for the ferry, with a growing pool of rain water spreading out from beneath my bar stool. Worth a mention that despite the horrendous weather, my Billingham bag had kept my camera perfectly dry. They really are the best. I slept on the ferry and after a long, hot shower at my fabulous hosts, had an early night. Next morning, with an 85km ride planned, I’d hoped for better weather. As it turned out, the clouds were low enough to touch as I drove through the showers to my planned starting point in Recess. 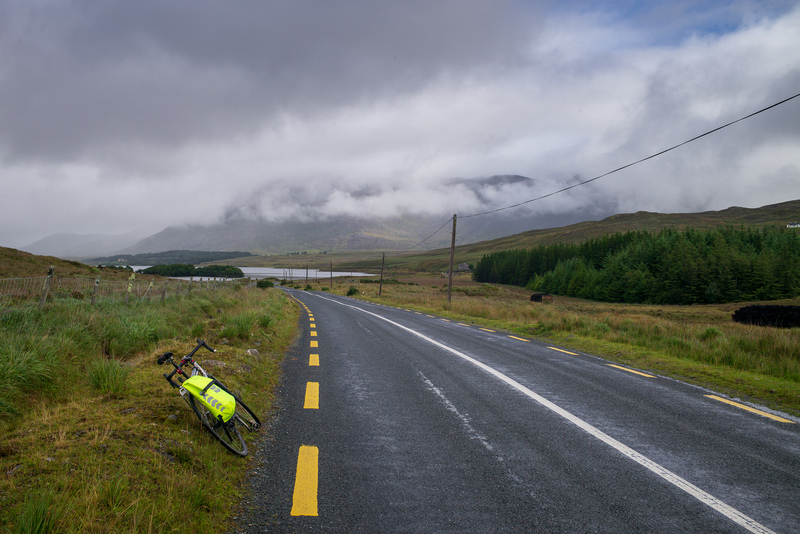 Once on the bike, things brightened through the day, but the early stages through northern Connemara were spectacular and the weather only added to the drama. 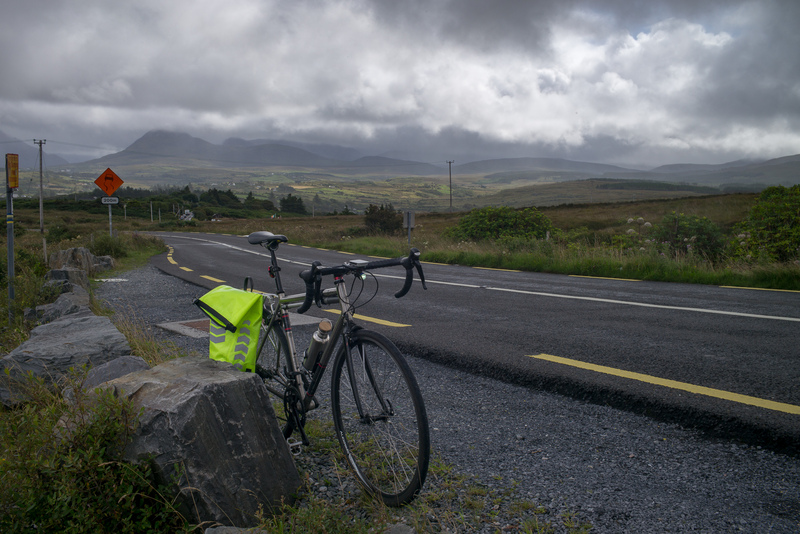 After lunch at the midway point in Clifden, a town almost completely overrun by tourists, the second half of my ride was along the southern coast of the Connemara peninsula, past the many beautiful white sand beaches. As I rode with the sea on my right, the mountains were a constant backdrop to my left. The highlight of the day was the spectacular Dog’s Bay/Gurteen Bay – a double-sided headland with two immaculate, curving beaches back to back, separated by the just a few meters of dunes. I tooks a paddle in the aqua sea and enjoyed the fleeting moments of August sunshine. Tourists at the Twelve Pines. They’re everywhere in Connemara, and I fully understand why. 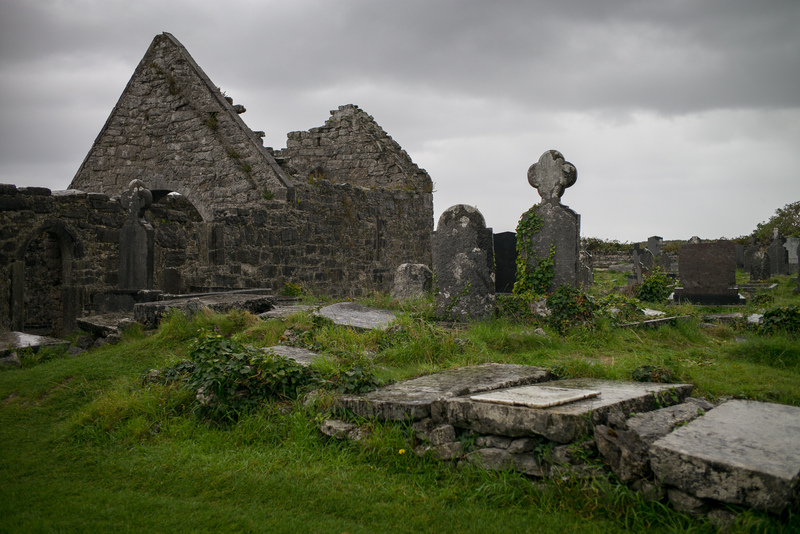 The spectacular overgrown graveyard at St. Bridget’s Church. I love travelling by bike with a camera when I’m not in a hurry. My riding is so often about getting to work on time or travelling home after a long working day. I just love slowing down and exploring new places, stopping whenever I fancy taking a picture. It’s the perfect ‘hobbymash’. I’m also enjoying shooting colour again and the magnificent results of the Leica M (typ262). I find landscape photography challenging but it gets easier when in such spectacular surroundings. Here’s Sunday’s ride on ReLive. 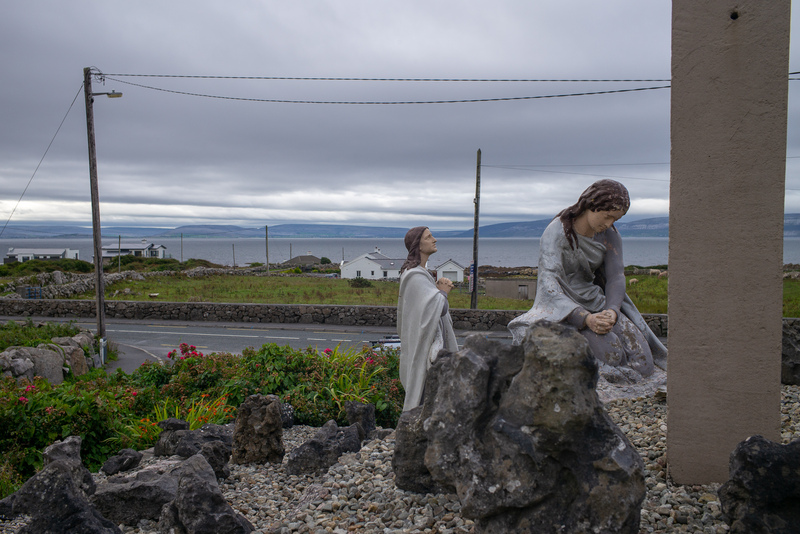 My wife and I rented a car in Galway in 2016 and drove it all along the western and northern Irish coast. 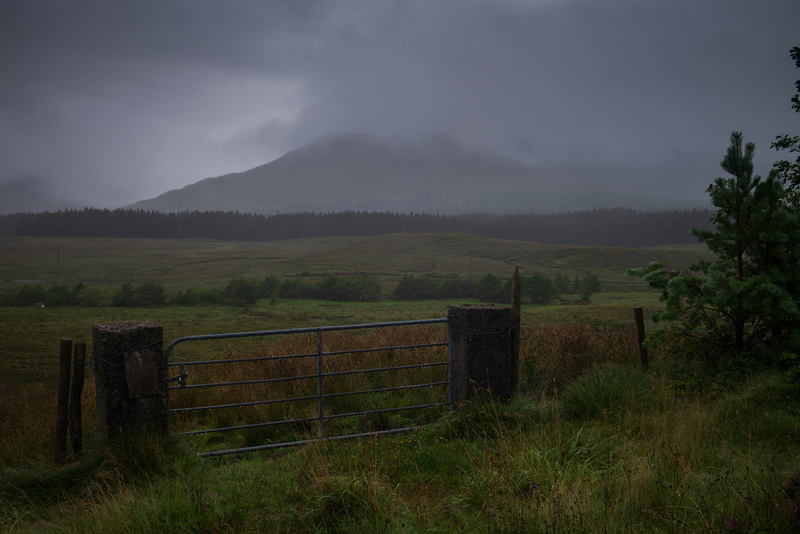 We thought Connemara was easily the most picturesque of all the places we visited in Ireland. And Clifden was just charming. We’re not much for touristy things but we both agreed that if we come back we want to see Clifden again. Thanks for visiting the site Jim. 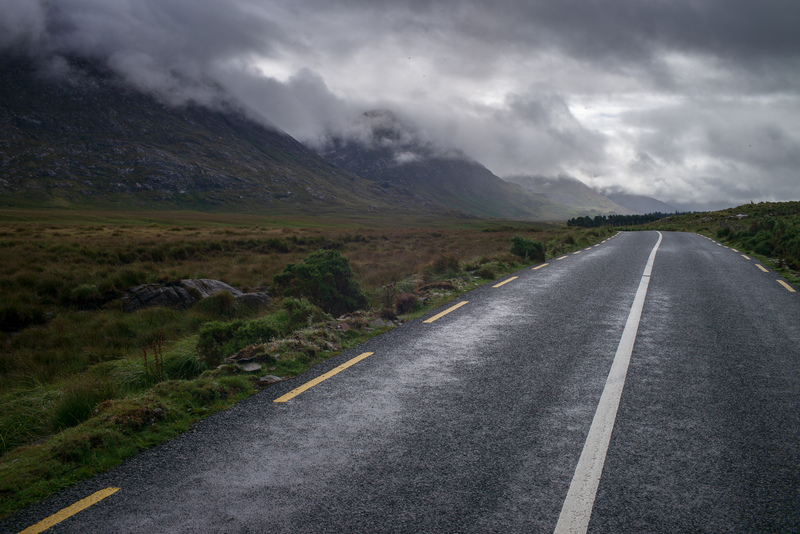 I agree that so far at least, Connemara is the most impressive area that I’ve visited so far.